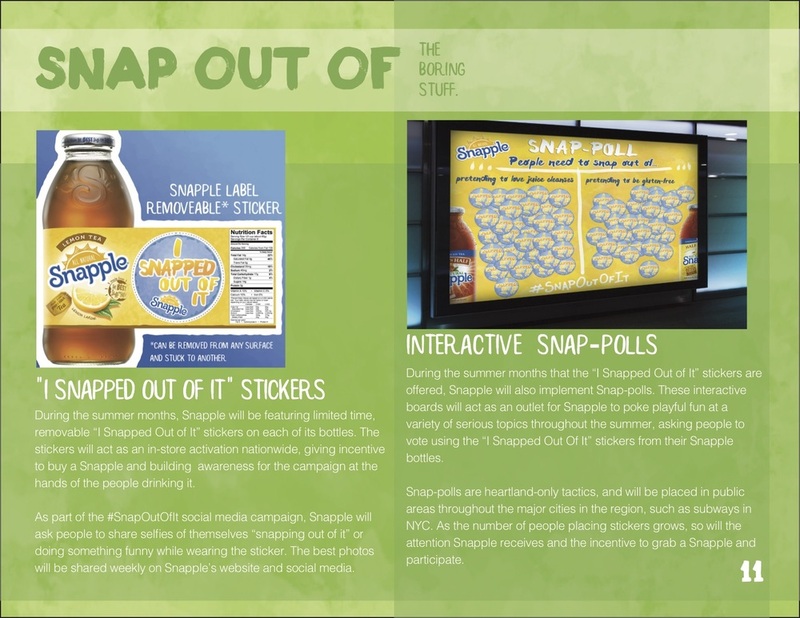 During the 2015-2016 school year, I was chosen to be a copywriter for the school's American Advertising Federation National Student Advertising Competition Team. 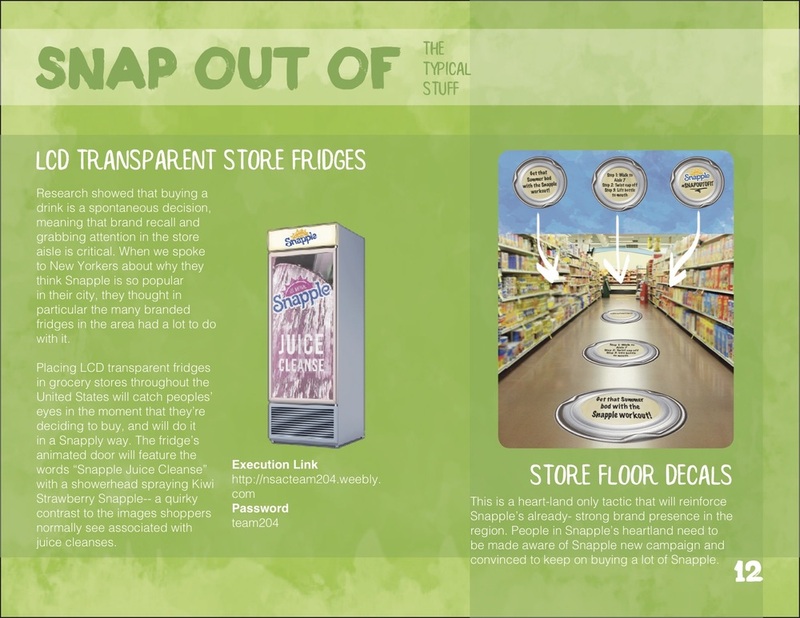 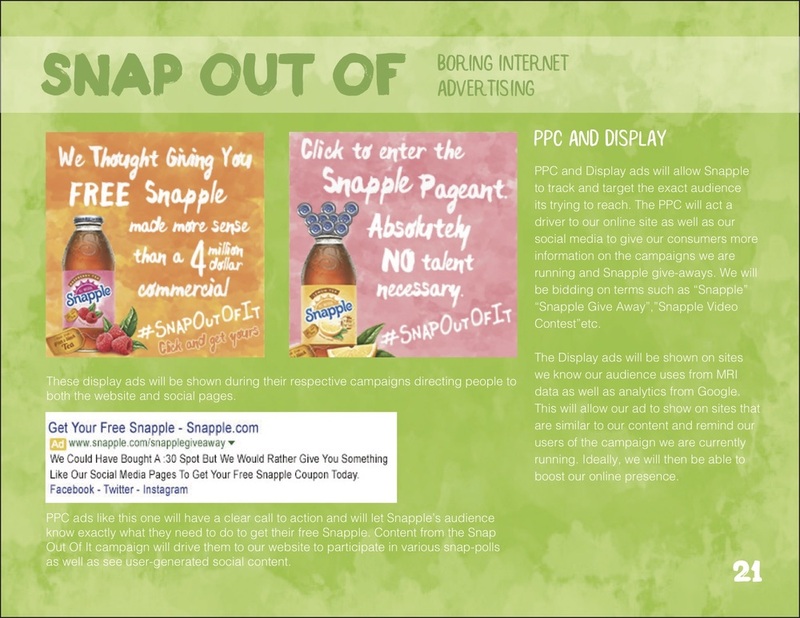 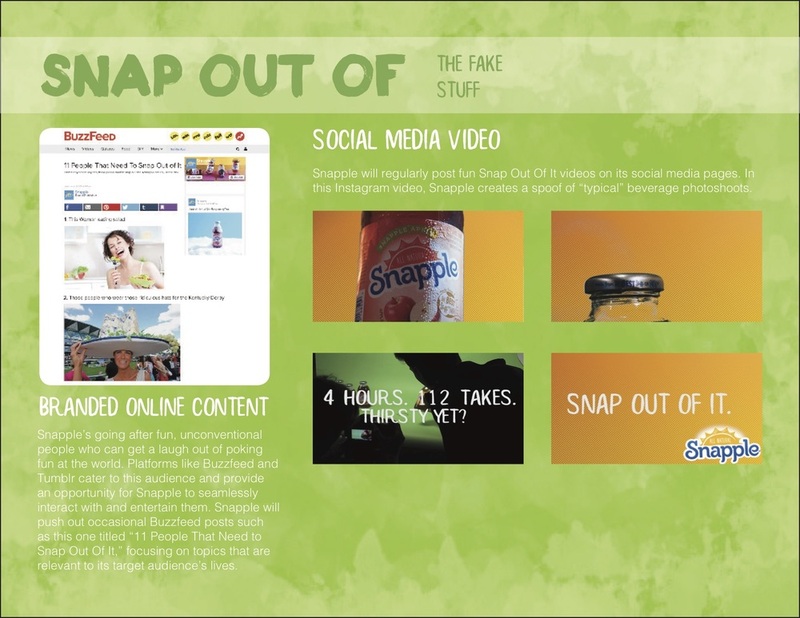 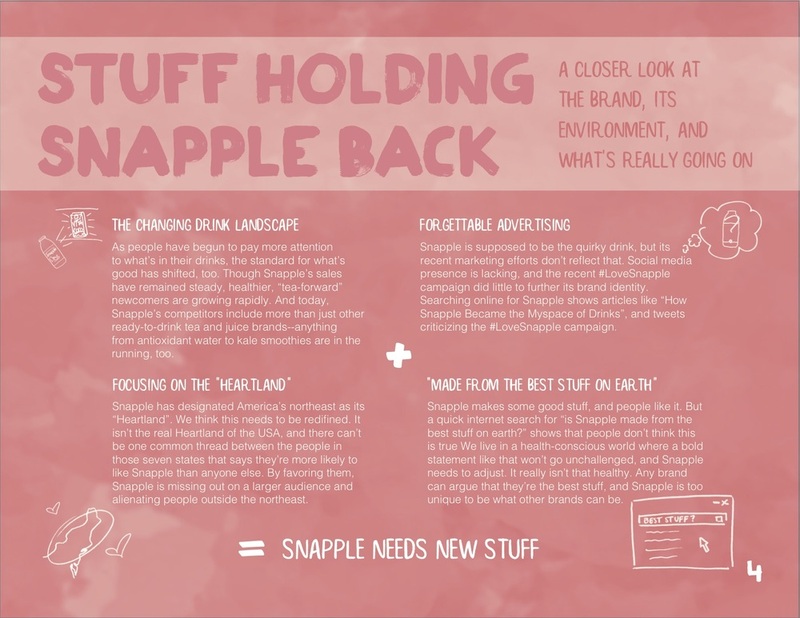 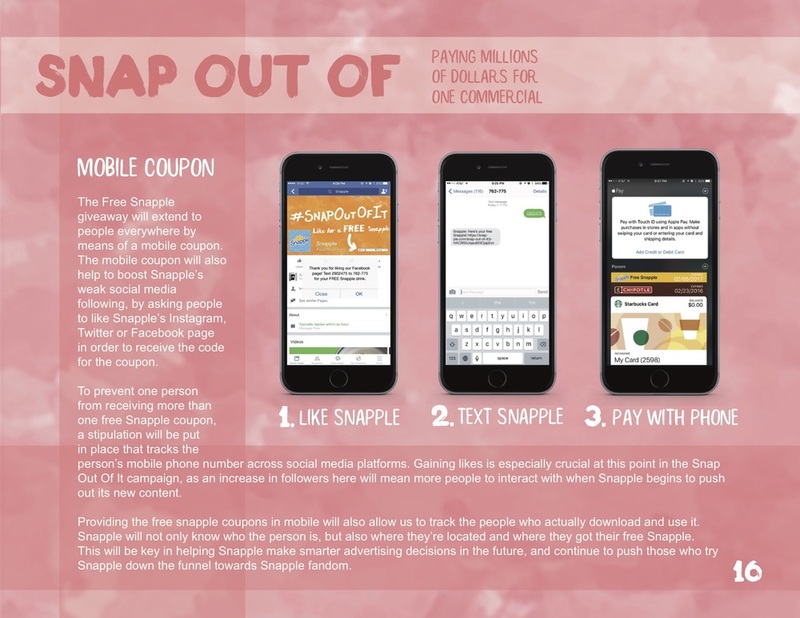 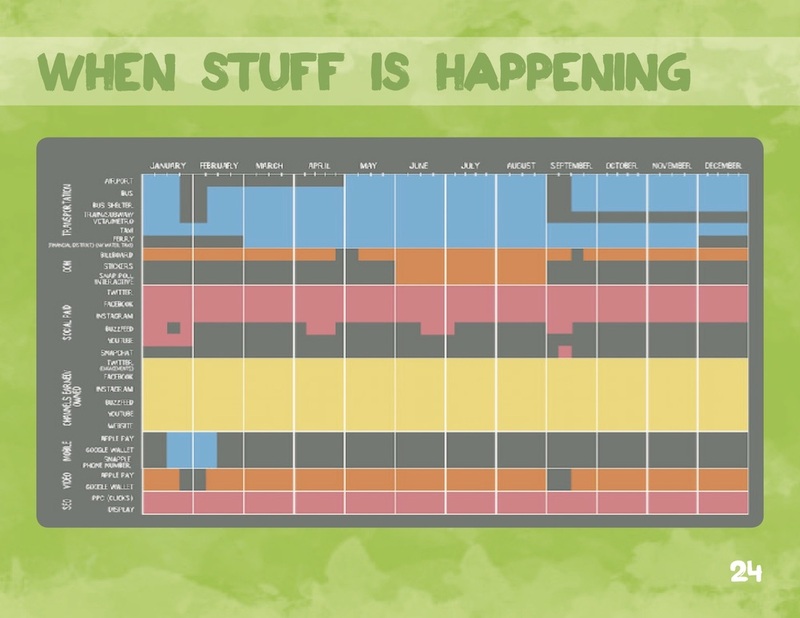 We were tasked to create a plansbook and an integrated marketing campaign that increased Snapple's Total Volume Sold, targeting their "Heartland" and Non-Heartland area. 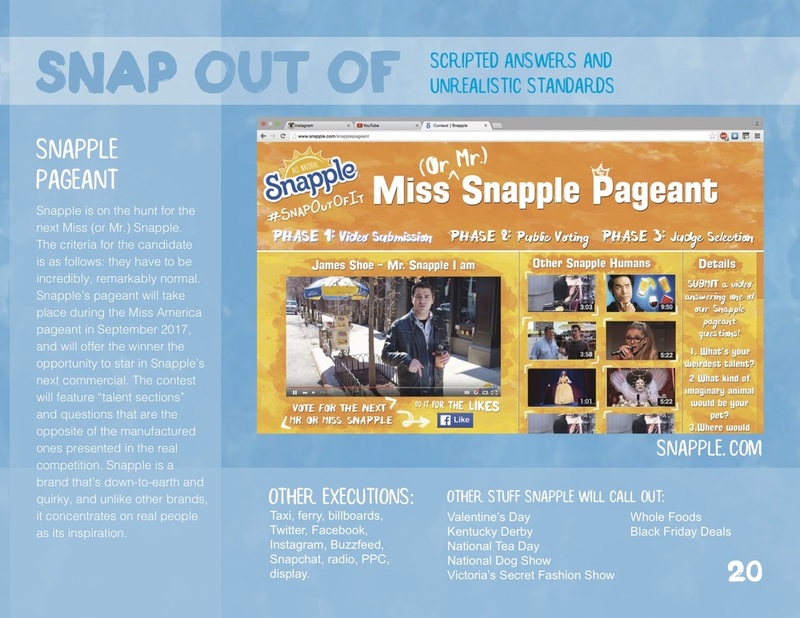 I'm proud of this campaign because we didn't play it safe and the judges deemed our campaign "ballsy." 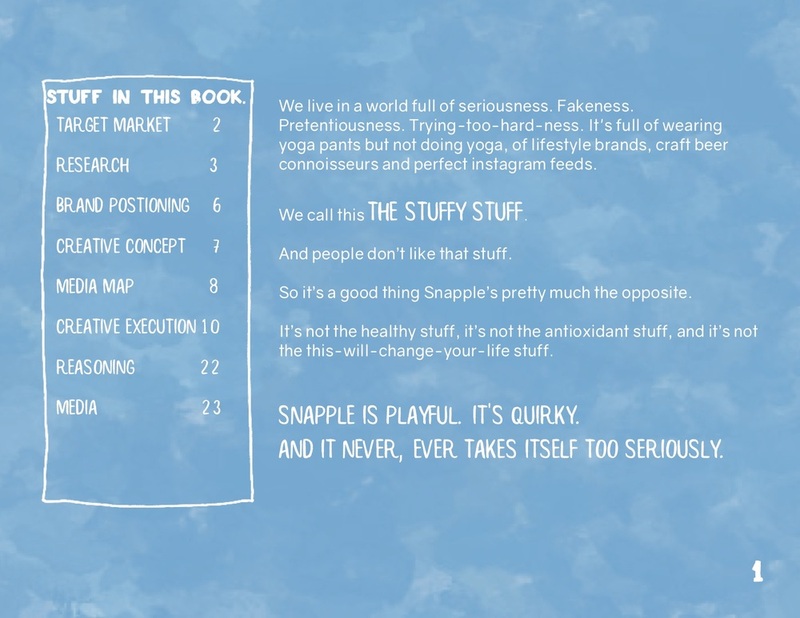 Insight: People are tired of try-hard, pretentious lifestyle brands. 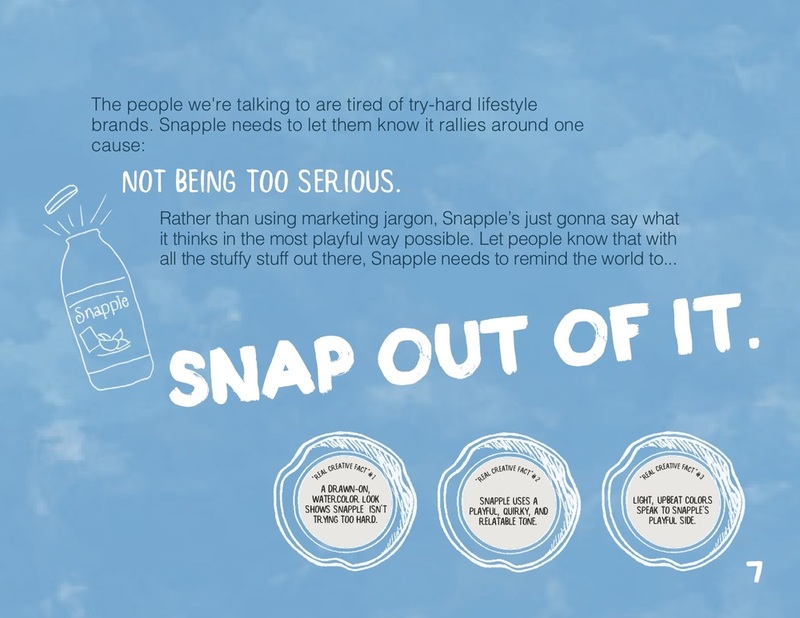 Solution: In a stuffy world, Snapple reminds people to not take themselves too seriously and that it's here to remind the world to snap out of it.